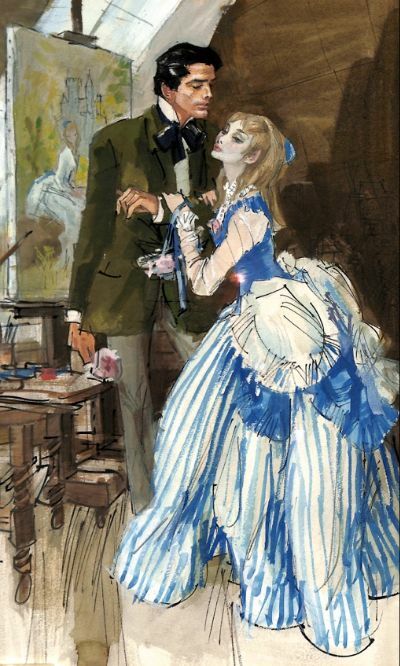 When beautiful Atalanta Lynton has a chance meeting with a dashing French artist on her way home to her father’s modest Vicarage from Combe Castle where her aunt and cousins reside, she is smitten by his handsome Gallic charm and his talent as an Impressionist artist. But no sooner than Paul Beaulieu, for that is his name, declares that he has fallen in love with her at first sight, she finds to her chagrin that her father has promised her hand in marriage to her cousin William, who is to become the British Ambassador to the newly independent country of Vallon and he has to be married to a suitable wife to take up such a prestigious post. Although appalled at the prospect of a loveless marriage to her cold pompous cousin, Atalanta sees no alternative but to yield to her parents’ will and the union will definitely ensure that she can provide for her impoverished parents and her brother and twin sisters. In Paris with her hated husband-to-be, the flame of her love is stoked once more by Paul’s unfailing ardour and, finding that her cousin already has a mistress who is with child, Atalanta now resolves that she must refuse to marry him. But an enraged William will stop at nothing to prevent her marrying Paul and it seems that their love is doomed before it can really blossom.